The global shift towards green power, particularly in the automotive and energy industries, is going to signify a step-change in the market conditions for a number of ‘technology’ metals. With the likes of copper, lithium and vanadium expecting so see substantial uptick in demand, also a correlating price rise, in the next several years there are other lesser known supplementary metals which will also benefit from the rising tides of electrification. 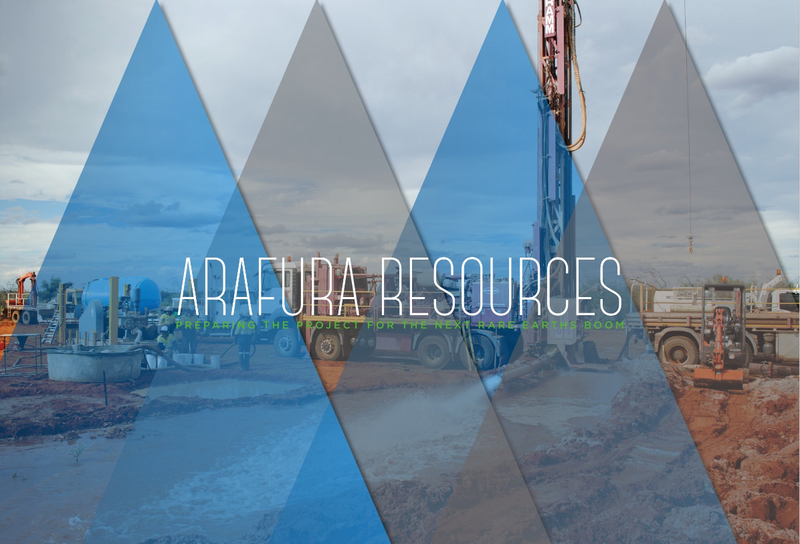 Arafura Resources’ (ASX:ARU) Nolans project contains the rare earths neodymium and praseodymium (NdPr), both of which will be key components as magnets in electric vehicles, wind turbines and robotics. For Arafura’s managing director Gavin Lockyer, it is not about if there is going to be that demand-side price lift, it is when, and on that basis how the company can prepare the flagship Nolans project to hit the market at exactly the right time. Since RGN last spoke to Lockyer in early 2016 there has been substantial technical feasibility and efficiency work completed at the project, located in Australia’s Northern Territory, to drive costs down, improve technical and operational efficiencies and submitting the crucial environmental impact statement (EIS). Laying the foundations for commercial production Arafura has also entered into a a deal with South Korean chemical manufacturer OCI to build a refining facility for the final processing of materials from Nolans. The 100%-owned Nolans project is centred around the Nolans Bore rare earths-phosphate-uranium deposit which has become one of the world’s largest and most -intensively explored rare earths deposits since it was discovered in 1995. The deposit has a ‘highly desirable’ rare earths mix, dominated by the NdPr rare earths that feed key growth markets in magnets, and contains 56 million tonnes (mt) of resource at an average grade of 2.6% total rare earth oxide (TREO). Arafura implemented a review of operational processes in order to identify substantial efficiencies that could be made at Nolans. The review results were announced in June 2016 and made significant improvements to the project structure and processes which will deliver a more competitive and robust project with cyclical downturns in mind. The highlights of the report included utilising the natural phosphate in the rock, which would have been waste, to act as a leaching reagent to strip out the rare earths. This process was a key innovation in not only reducing the cost of raw materials but also narrowing the environmental impact of the project. Conversely, having identified the use of the natural phosphate for the project as a solution to a waste stream it will provide an additional revenue source with annual output of 111,000 tonnes of merchant-grade phosphoric acid, which finds application in Asia’s fertiliser industry. The other key progress made in the operational review sees a 28% reduction in operating costs to US$6.23/kg of TREO produced, a reduction in initial capital required to US$680 million and the allowance to defer expected capital expansion beyond the initial financing period – improving the fundability of the Nolans project to the capital markets. The process efficiencies implemented by Arafura will bring down the project’s exposure to both technical and financial risks as well as marketing risks, thanks to the in-process production and sale of phosphoric acid. The whole review was completed to enhance Nolans attractiveness to the investor market. The other major progress made in advancing Nolans was the submission of the project’s Environmental Impact Statement (EIS) and its subsequent passage through the approvals process. Considering that work for the EIS began in 2008 it is easy to understand why it represents such a landmark for the project. It includes studies assessing Nolans’ impact on a wide range of areas and people: water access, cultural heritage, socioeconomic impacts, transport, radiation, air quality, noise, rehabilitation and cumulative impacts. The EIS was submitted to the Northern Territory Environment Protection Authority (EPA) in May 2016 which was followed by an eight-week public review period that ended in July. Arafura lodged its responses to the public comments and now the EIS is entering its final review stages. Once the EPA is satisfied with the review the EIS will be passed on to the Northern Territory Minister for the Environment’s office for the final approval. Another of Arafura’s objectives in 2017 will be completing a successful final piloting programme to stringently test the practical operations at Nolans. “Arafura has done a lot of piloting work but this programme is focused on materials handling and sizing of equipment rather than proving the chemical processes themselves itself, because these areas are very capital intensive and we do not want to have issues on commissioning. Arafura’s key partners at this stage include various engineering firms and laboratories. ALS, SGS and SNC Lavalin have all provided key support in terms of lab work and engineering the project. AMC Consultants has been integral in developing the project’s mining schedules during the pilot programme while ICN Industry Capabilities Network has helped track potential suppliers to source vendors for the project. Arafura’s agreement with Korean giant OCI has been focused on identifying the appropriate location for the final separation plant which it intends to build in South Korea. OCI is being kept informed on progress of the piloting operation, and most specifically the final separation stage of piloting. “We will continue to engage with OCI throughout our pilot activities and they will be involved in the pilot once we get to the separation stage. We’d certainly like to formalise that arrangement in 2017,” remarks Lockyer. One of the key influences on the Nolans project and how quickly it is advanced into production is the market conditions and demand for NdPr magnets. Thanks to advances in technology the electric vehicle and green energy industries have been transformed in the last couple of years. The development of long lasting lithium batteries used in EVs has seen the lithium demand market balloon and investors get a serious bang for their buck. Lockyer is hoping that, as a key component in EVs and clean energy production, the same will apply for the NdPr price market. Another area stimulating a boom for NdPr magnets is in robotics technology. Korean and Japanese car manufacturers have heavily robotised their production lines and Lockyer believes China will follow suit to compete with the low-cost production. All the combined factors mean the timing of Nolans entering the market is crucial. During the last cycle in 2012 there were a number of junior rare earth projects that entered the market thanks to the rising price and an appetite from investors to fund such projects. Outlining the strengths of the project it is clear why Arafura’s flagship project is in a solid position to capitalise on the expected supply side deficit over the long-term future, demonstrated in part by the recent capital raise of AUS$3.6 million from institutional investors in New York, Hong Kong and Australia. Lockyer strongly believes the recent developments made in the use and application of batteries will transform the market for electric vehicles and therefore NdPr.